Cadwyn is committed to working with tenants to build strong and resilient communities. We want our tenants to love living in their home and feel at home in their local community. Join Neighbourhood Officers on a scheme inspection – or request one! Get together with your neighbours and run an activity on your street or set up a residents’ group. We can support you with this. Contact Kath Williams, Cadwyn’s Community Engagement Officer, for a chat about your ideas. Get in touch with your local Communities First. They operate in areas across Cardiff including Plasnewydd, Splott, Grangetown, Riverside, Ely and Caerau, . They run a range of courses, groups and activities for all ages. You can also earn Time Credits for getting involved! Check out our social media pages where we regularly post information on local groups and events. If you’re involved in a community group, let us know and we can promote it to others. Our Realise Your Potential team work on a one-to-one basis with tenants who are interested in enrolling on courses or needing a bit of advice on getting back into the workplace. Visit their page to see more details on the course providers we work with. Cadwyn regularly runs courses and taster sessions for tenants and the wider community either at our offices or at community venues. Check out our Events page for more details of what’s on. If there’s something you’re interested in please let us know as we may be able to run this course or can point you in the direction of someone who is! Involve everyone in the community. Don’t just focus on geographical communities but ensure we are understanding the needs of our tenants whatever their age, gender, ability, ethnicity, sexuality or religion. Diverse Cymru and Race Equality First offer information, advice and support to all people faced with inequality and discrimination. They can also give you information on local groups, events and networks. If you are aged 50 or over then Age Connects Cardiff and the Vale can provide you with information and advice on local groups or services. In addition to information and advice many of these organisations have a volunteering program where you can get involved to assist others. 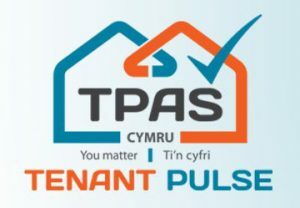 Tenant Pulse strive to have Tenants voices heard with Landlords, Housing Organisations and across Local & Welsh Government by gathering the key issues. Its free to join Tenant Pulse and its open to all tenants living in Wales.